Italy has some of the greatest, most varied roads and scenery in Europe, and while its drivers have a reputation for reckless abandon, it’s only partly justified… Italian resident Mick Phillips sets you on the right road. Mention riding in Italy to some people and you might be met with guffaws, tales of lawless chaos and a hundred excuses why they won’t be able to join you. The dog ate my passport. But statistically, Italy’s roads are no more dangerous than those in France, Austria, and that notorious pit of chaotic lawlessness, Switzerland. In fact, Belgium is more dangerous. 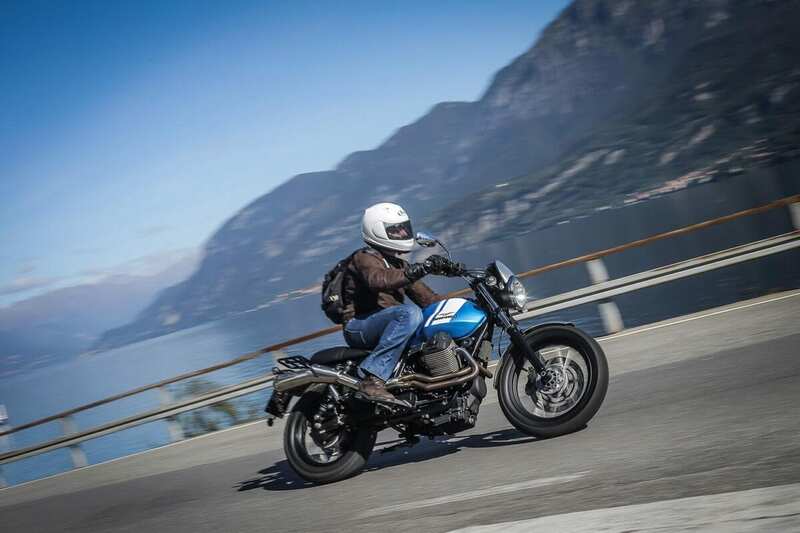 Italy is too good a place to ride, to eat, to relax… simply to be, for hearsay and rumour to put you off. Here’s what you need to know to make the most of Il Bel Paese. 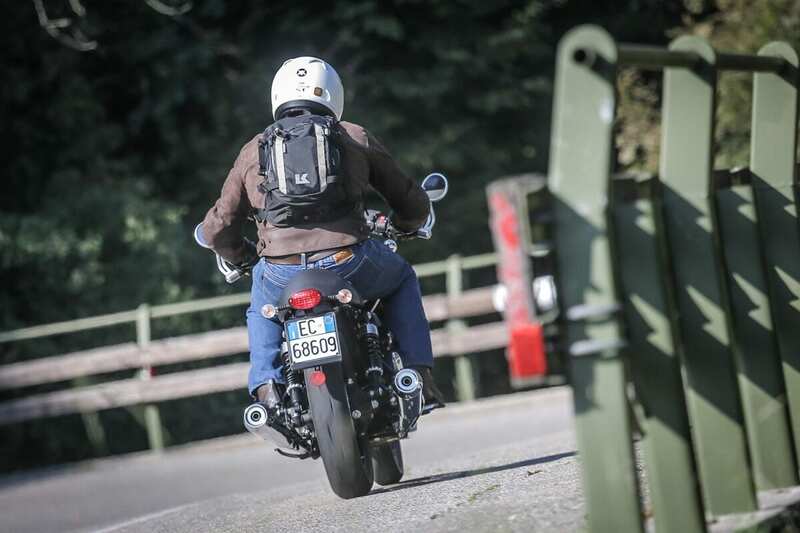 Many Italian road users have a curious attitude to risk, as in they don’t see it; riding up your chuff, overtaking on blind bends or where there simply isn’t time or space to do so is not uncommon. Add to this a pathological lack of patience and you get a lively driving technique. Although you sense this pretty soon after crossing the border, the general rule is that the larger and further south the city, the less forgiving the traffic. A possible exception is Puglia, the heel, which is relatively calm and collected for southern Italy. You will get the horn. Everyone does. Italians use the horn habitually, but there is a pattern… A quick beep is a general warning and not a comment on your riding. It just means, careful, I’m here, I’m coming past, don’t pull out… so don’t get the hump. If they want to criticise your riding they’ll weld their palm to the hooter. And on the subject of warnings, flashing headlights are similar to a bip on the horn and mean ‘I’m coming through’. They do not mean, ‘After you, sir’. Getting this wrong can be quite messy. 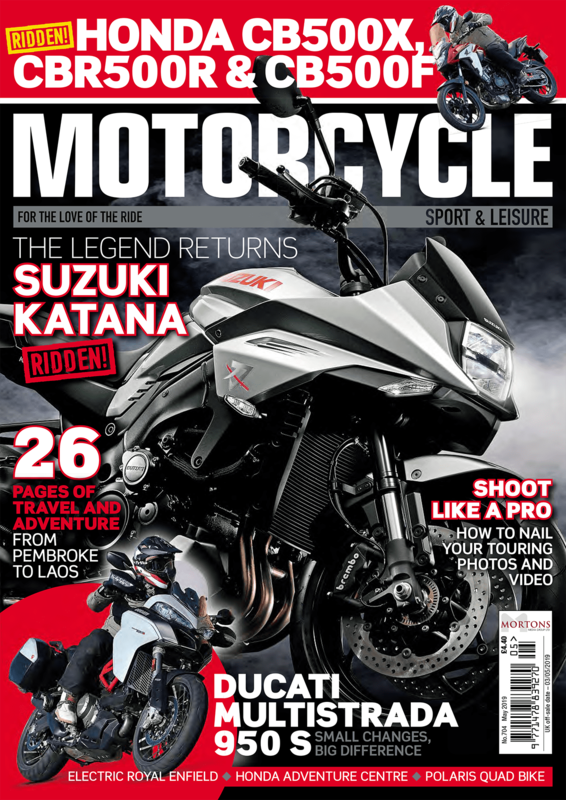 Being on two wheels, you’ll be expected to behave like an idiot. Of course, you won’t, but that can lead to confusion. Many drivers expect you to take precedence at junctions and the like, even if technically it’s not yours to take. So, be aware when you pull up, and do so steadily, because the person on your tail might not be expecting you to stop. This is also the case at pedestrian crossings. Traffic should stop if someone is waiting to cross, though very few people do unless the pedestrian has the look of a seasoned gladiator about to enter the Colosseum and at least one foot in the road. But never, ever, dither. To dither is to be weak, which is unforgivable. Good grief, next thing you’ll be using indicators and expect others to use theirs. If you can’t predict a driver’s actions by the grade of tan on their arm draped from the open window, frankly, you shouldn’t be on the road. 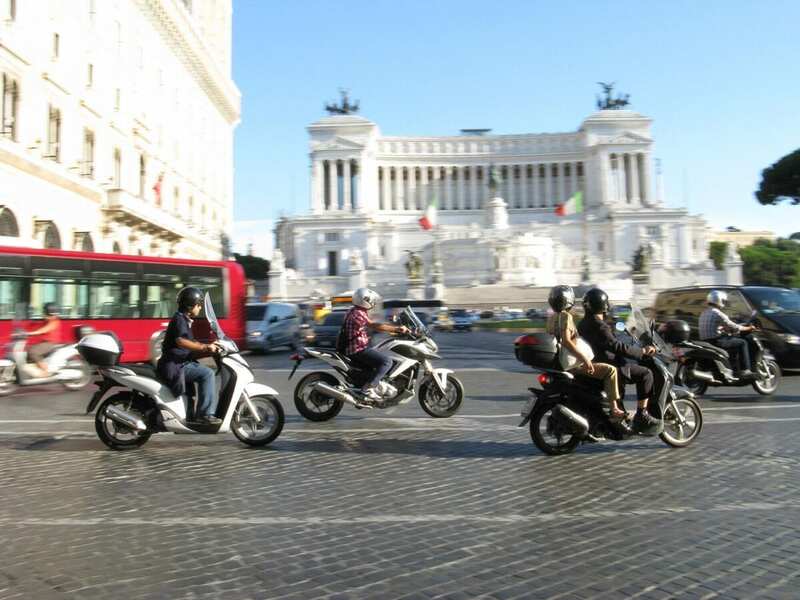 In cities especially, and particularly in Rome, you will be buzzed by scooter riders with ten times your ability to cope with the local traffic and conditions. Don’t bother trying to emulate them, but be aware that if your fat panniers stop you in traffic and you block that skinny gap through which most scooters could squeeze, you’re likely to get moaned at. Best solution? Raise both palms skywards and give the shrug that sheds all blame. Oh, and Italian Yamaha T-Max riders are often cocky, inconsiderate muppets. As with France and many other countries, giving way to traffic coming from the right is a key rule, but one that Brits find hard to get to grips with. Even Italians get confused as to when it’s in force, so there’s plenty of potential for hilarity. Certain signs (see box) make the situation clearer, but, especially in cities, there are times when you won’t have seen a sign or there won’t have been one. When approaching a city junction with no give way signs or road markings, be prepared to give way to traffic from the right. Which brings us to roundabouts – still a novelty in many parts of Italy and even some city-dwellers are baffled by the rules. They work just the same as in Britain, except you take them anti-clockwise. However, chianti-soaked duffers and confused fools will stop on the roundabout itself to give way to traffic waiting to enter, yes, from the right. 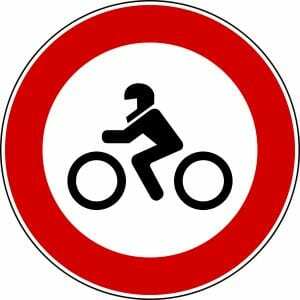 You do not give way to the right on a roundabout, but beware the cretino ahead of you who thinks you do. Traffic lights present an opportunity for Italians to test acceleration on seeing an impending red, or the horn if waiting and green is about to appear. Always check your mirrors when slowing for an amber light, because there’s the real risk of being rammed by a driver who doesn’t expect you to stop, and had no intention of stopping either. Oh, and around midnight many minor traffic lights turn to flashing amber, which invites you to proceed with caution. Do so. Lane discipline is an alien concept, roads being divided by the traffic depending on how many vehicles can be fitted side-by-side without quite touching. A one-way street is merely a suggestion, especially for scooters, so always look both ways. 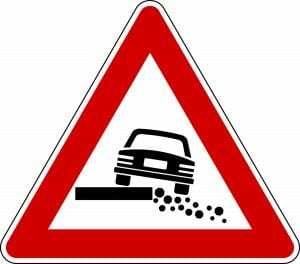 Road surfaces range from sublime to criminal, but in cities be especially wary of tram lines and cobbles, both of which are fine in the dry, trickier in the wet. And as is generally the case on the Continent, carry your passport, licence, registration document and insurance details. 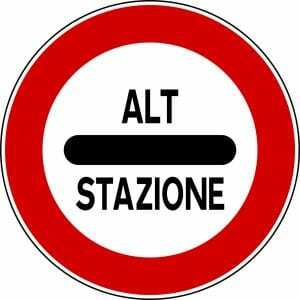 All motorways (green signs) are toll roads and you’ll see ‘ALT stazione’ and a distance in metres to warn that you’re approaching booths. To use credit cards, look for the card sign above the lane; a sign with cash and a hand means it’s attended; just cash depicted means it’s automated (change is given) and keep out of the yellow Telepass lanes, which are for account holders with transponders. As ever at any toll, be careful of oily surfaces and the free-for-all jostle as you’re all funnelled back into two or three lanes on the other side of the barriers. 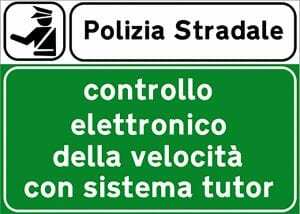 Be careful of speed traps, not least Tutor – a distance-time calculator – but you’re given fair warning on the overhead gantries. And Autogrill service areas serve good, proper food. The site autostrade.it will calculate your tolls, tell you fuel prices and more – in English. Away from the motorways (major roads have blue signs, smaller ones white), and especially in cities, small, kerbside petrol stations showing a 24hr sign are usually unmanned and automated. All accept banknotes (no coins) and most accept credit cards, though not all have instructions in English. If the little cabin is locked up but there’s a forlorn Asian chap there, he’ll quite likely be a Bangladeshi trying to earn a crust by helping in return for a small tip. They tend not to bother much with bikers as we’re an independent bunch. City centres tend to have a black and white bullseye ‘Centro’ sign taking you to them, and that’s where you’ll find tourist information and the like. 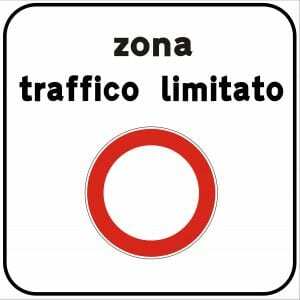 Be very careful of pedestrian zones and areas marked ZTL or Zona Traffico Limitato (limited traffic zone), as both are hotly policed by cameras and you’ll be fined. 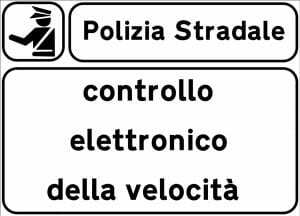 2: Speed trap. Usually conventional oncoming camera and rear plate photo. 3: Speed trap. 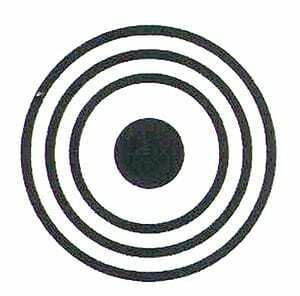 Tutor is the time and distance trap, so don’t slow down when you see the sign then cane it till you see the next one. 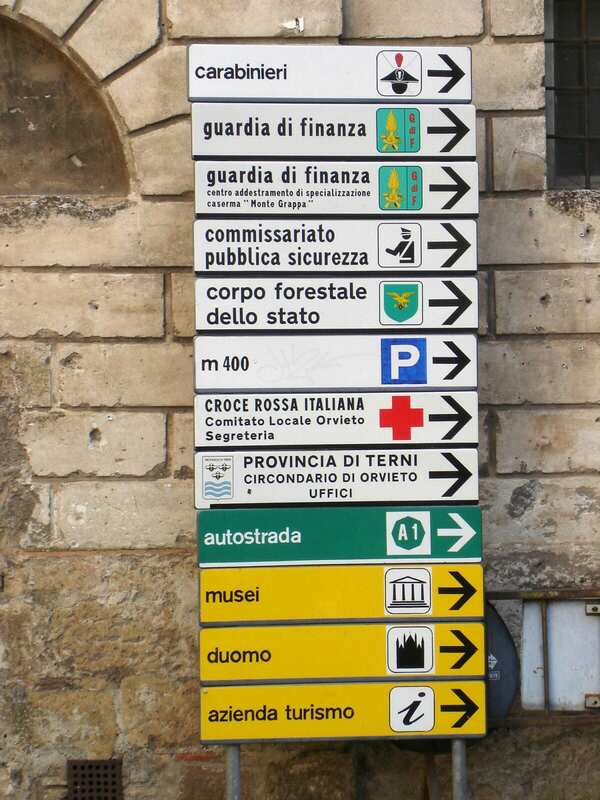 4: Brown signs for tourist locations. 5: A road where you have right of way. 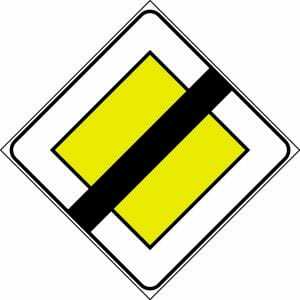 5a: You no longer have right of way, so give way to traffic entering from the right. 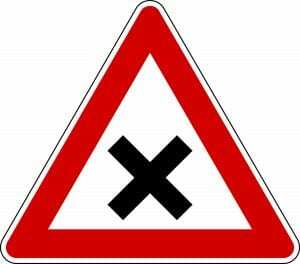 8: Crossroads where traffic from the right has precedence. 9: Kilometre markers. 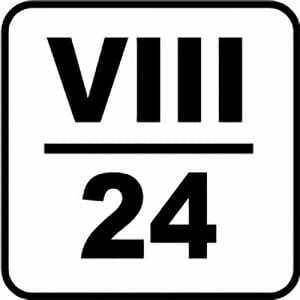 Roman numerals are tenths of the kilometre beneath. 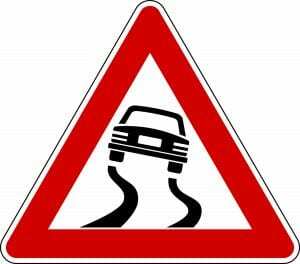 Useful if you know where to expect a turn-off, etc, or pinpointing your position to the recovery truck. 10: Warning of upcoming toll booths. 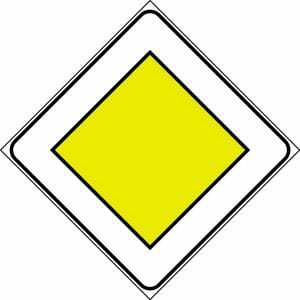 11: Residential zone, so slow down. 13: Grappa-sodden drivers in vicinity. 14: Advice for tailgaters. 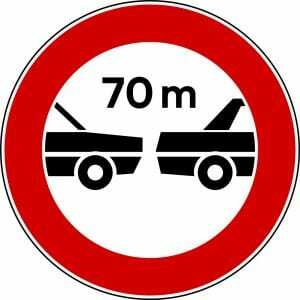 Minimum acceptable distance in millimetres at 140kph. 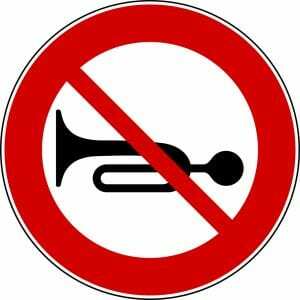 16: No parping your horn. 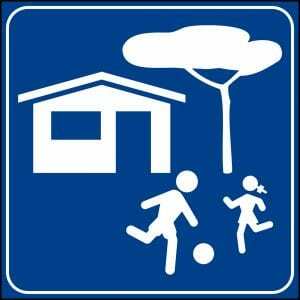 Italians have no idea what this means. 17: Follow this to the town centre. 18: Limited vehicular access. Do not enter. Bikes are often exempt, but not always, so play it safe.